Please be polite and respectful of other forum members. Debate is welcome, fighting is not. 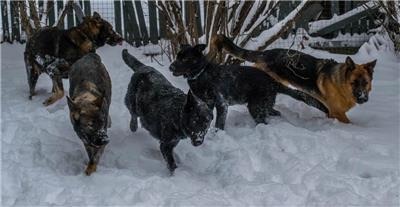 Our forum is dedicated to our breed, but we welcome discussion of other similar working and herding breeds, including Belgian Malinois and other working Shepherd breeds that are similar in look and temperament to German Shepherd Dogs. We support responsible German Shepherd breeders and rescues. If you are part of a German Shepherd Rescue group, please post about it. 1. Respect the breed. 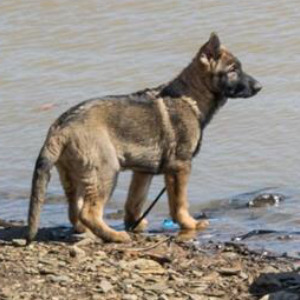 Repeated disparaging comments about German Shepherds and the other breeds we include will not be tolerated. 2. Do not compare our breed to breeds whose traits are diametrically opposed and say our breed doesn't measure up in comparison. 3. Do not post pictures of non herding or non protection breeds. 4. Do not promote other or dissimilar breeds. 5. Do not promote fake or false information when you can’t find an unbiased third party substantiation on Google. 6. Anyone who repeatedly posts fake or false information will be treated a as troll. Information provided here is the opinion of the author of the post. While our members and moderators are usually experienced dog owners, we have no way of verifying what anyone posts. Please take posts as suggestions. If your dog has an illness or medical problem, or you have a question about diet, please contact your veterinarian. If you are experiencing behavior problems, locate and work with a local dog trainer. Our advice may be excellent, but it's just a suggestion. Ultimately, the responsibility for handling and care of your dog is yours.